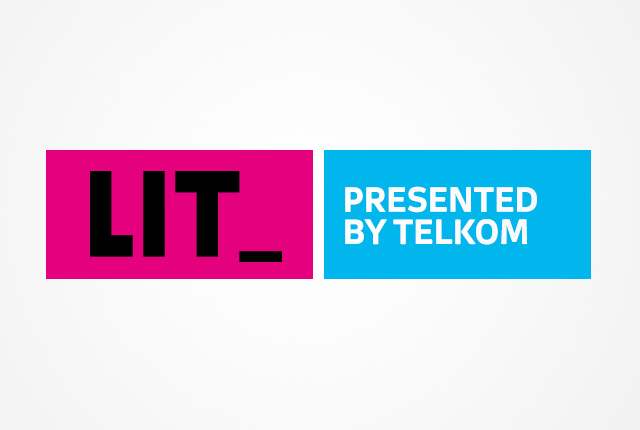 Telkom has announced the launch of a new product, LIT. LIT is a first-of-its-kind streaming service giving its customers access to on-demand movies, series, online video and music through some of the world’s most popular online content providers. In this South African first, Telkom unveiled LIT Video and LIT Music, offering zero rated video and music streaming to select content partners for its FreeMe 2GB and up customers. LIT Video and LIT Music will be available from 01 September. Telkom also announced the imminent launch LIT TV, offering Unlimited ADSL, Fibre and LTE SmartBroadband customers the Telkom LIT TVC 100 media box which allows customers to transform their TV into a smart TV, with pre-loaded content channels from our content providers. LIT TV will be launched in September with our Summer Campaign. Speaking at a media event in Johannesburg today, Telkom Consumer CEO Mr Attila Vitai reflected on the Company’s strategy to take the lead in the data market with the goal of offering customers a compelling entertainment proposition. “Last year, we revolutionised the mobile industry by launching FreeMe, giving South Africans access to data at a cost that was previously unimaginable. This year, we launched Unlimited Home, giving fixed-line consumers unlimited data and higher speeds,” he said. Telkom has partnered with the most popular content providers to give our customers unlimited access to the content whenever they want, wherever they are. For LIT Video, Telkom has partnered with Showmax, Netflix, YouTube and Google Play. For Lit Music, Telkom has partnered with Google Play Music, Apple Music and Simfy Africa. This means that when customers stream content from these sites it will not be deducted from their FreeMe data bundle. “This innovation is aimed at really transforming the way South Africans consume digital entertainment. By removing the worry of additional data costs we are putting unlimited entertainment in the hands of our consumers,” explain Vitai. Although subscription costs for content providers are not included, they can be deducted directly from the customers’ Telkom account through our reverse carrier billing option with certain of our content providers. “We are excited to be offering free YouTube streaming particularly as this is a free content platform. The popularity of YouTube is unparalleled – we believe that this offer as well as our zero rated music streaming offer will be a huge drawcard for new customers,” he added. LIT TV includes a media streaming box and is designed for large screen TVs offering a completely new TV viewing experience. The Android TV™ device allows consumers to truly customise their TV viewing, marking a break away from linear TV viewing. The current content partners for LIT TV are ShowMax, YouTube, DSTV and Google Play™ Store. Customers can choose exactly what they want to watch both from our subscription based partners as well as a host of free content options from the Google Play Store allowing them to design a personalised entertainment hub. Devices powered by Android TV have Chromecast™ built-in so you can cast your favourite entertainment apps to your TV. Telkom’s LIT TVC 100 media box is both Google certified and approved by the Independent Communication’s Authority of South Africa. The device is compatible with android and IOS – allowing your smartphone to be a keypad or voice enabled remote control for the streaming box. “Customers can also search for a particular topic and the box has built-in intelligence to aggregate content from all the content channels related to the search topic. “Today marks the first step in Telkom’s content offering. We already have more content partners in the pipeline and our ambitions in this space extend beyond today’s significant announcement,” concluded Vitai. LIT Music: LIT Music enables streaming music on a smartphone or tablet for subscribers of the Telkom FreeMe 2GB, 5GB, 10GB, 20GB. LIT Video: LIT Video allows for the streaming of standard definition video on your smartphone or tablet from selected video service providers. This service is available to subscribers of Telkom FreeMe 5GB, 10GB, 20 GB unlimited. LIT TV: LIT TV allows for the streaming of your favourite shows, movies and music at home, without depleting your data. Customers will receive a free Telkom LIT TVC 100 media box when they sign up for Telkom’s Unlimited Home 8/10MBps ADSL and Fibre offerings. Customers signing up for our SmartBroadband Wireless 50GB and 100 GB packages on promotion while stocks last. The offer is also available to existing customers upgrading to our Unlimited Home 8/10MBps ADSL and Fibre offerings. Also, customers you wish to purchase the Telkom LIT TVC 100 media box can do so for R1099 or they may add it to their existing contracts from R49.99 per month over 24 months. These services are automatically included for Telkom subscribers of select FreeMe packages. LIT Video and LIT Music is available from 01 September and LIT TV will be launched with Telkom’s Summer Campaign during the month of September.